For SNSD‘s latest music video, I got a boy, the girls were dressed head to toe in Lazy Oaf. Member Yoona was seen wearing the Gotta Jazz Hand It To You Bodysuit. It is currently on sale at Modcloth for $36.99 from its original $74.99! Not to mention, you can score $15 towards your $50 purchase or more by becoming a member here. Happy New year all! Have you guys seen SNSD‘s latest music video ‘I got a boy‘ that helped ring in the new year? I’m sure you did. In the music video the girls all rocked street looks a complete 180 for their usual looks which I loved. Speaking of loved, I couldn’t get enough of the Joyrich The Star Burst Varsity Jacket in Black and Red that Sunny wore. Fortunately, Karmaloop currently has the jacket available for 33% off at$140.95, as always rep code Kstyle can save you up to 20% off your purchase! 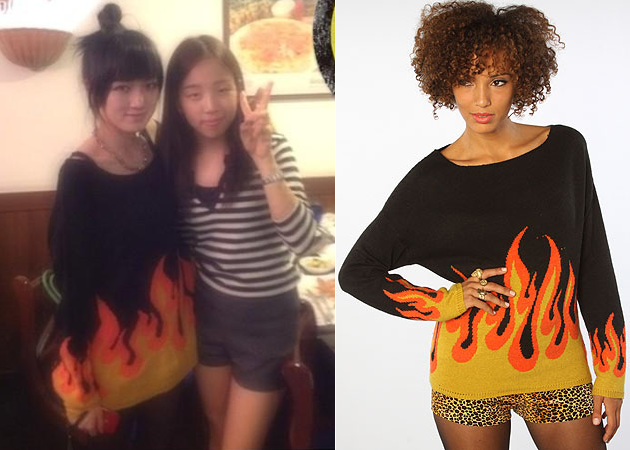 In recent behind the scenes photos for Invincible Youth 2, SNSD‘s Hyoyeon is seen wearing the Cheerleader Cropped Billy Sweater from Wildfox. Karmaloop is currently carrying the sweater for $231.00, as always rep code Kstyle can save you up to 20% off your purchase! As I mentioned earlier this week, select sunglasses from the Alexander Wang for Linda Farrow collection has just arrived at Karmaloop! 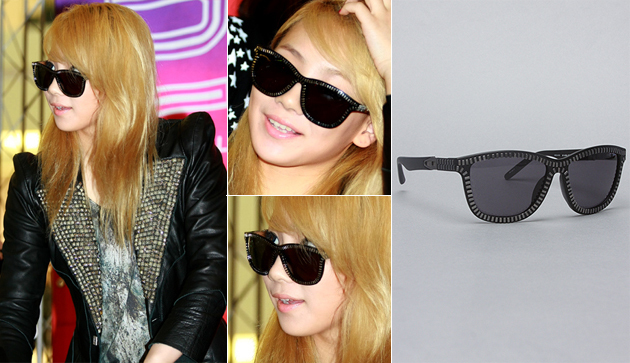 I think you will all be happy to read that the Zipper Sunglasses, worn by CL for 2NE1‘s Can’t nobody fan signings, is available . It is priced at a whopping $311.00, a bit pricey, but repcode Kstyle can save you up to 20% off! Not to mention all orders over $50.oo receive free shipping! Happy Shopping! Hurry, there are only 4 in stock left. OMO! Select sunglasses from the Alexander Wang for Linda Farrow collection has just arrived at Karmaloop! Now fans can finally get their hands on sunglasses they have seen on their favorite artists for less. 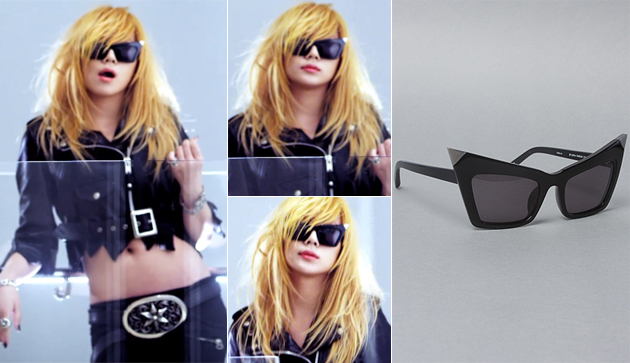 That includes the Cat Eye Sunglasses that was worn by CL for 2NE1‘s Can’t nobody music video as well as live performances. It is currently available for $355.00, a bit pricey, but repcode Kstyle can save you up to 20% off! Not to mention all orders over $50.oo receive free shipping! For B.A.P‘s Bang and Zelo‘s Never give up music video the boys were styled in our favorite Joyrich pieces from the previous Fall 2011 collection as well as the up and coming Spring 2012. 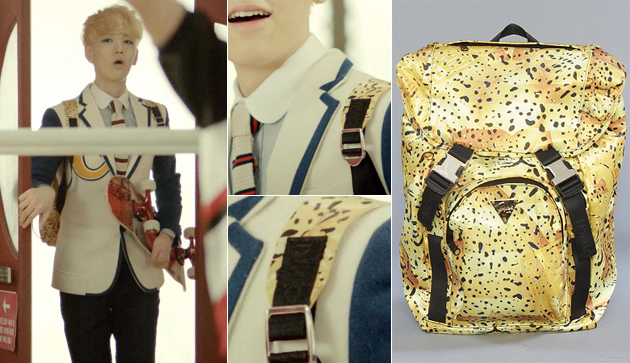 For Memeber Zelo’s scene, he carried the cute Dollar Leopard Belted Backpack. The bag is currently on sale at Karmaloop for 33% off it’s original $132.00 pricetag, so for just $87.95 this abg can be yours! As always repcode Kstyle can save you an additional 20% off your entire purchase.